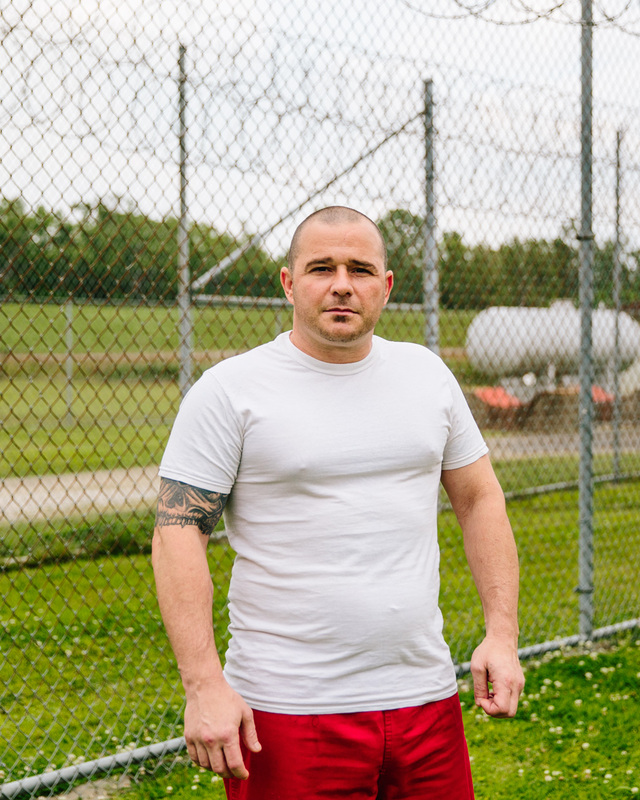 Department of Corrections inmate James Ogelsby, 36, of Plaquemine, Louisiana, photographed at the Pointe Coupee Parish Detention Center in New Roads, Louisiana. The small parish prison's inmate population is made up of about 60 percent inmates sent from the Department of Corrections and 40 percent inmates from the parish. For The Wall Street Journal.